Price of CrossFit Gyms: Why and How? | Are CrossFit Gyms Expensive? “Why are CrossFit gyms so expensive?” This is an inevitable question that comes to mind every time you think of joining a CrossFit gym. But the answer to that question calls for a proper assessment and analysis of what you’re essentially paying for. Though there are many similarities, there are some vital differences also between a regular gym and its CrossFit counterpart, and this post will ultimately enable you to determine why and on what exactly you are spending your hard-earned money. In this article, an attempt is made to probe the subject of how the prices of CrossFit affiliates are set as opposed to traditional gyms. Thus we will evaluate the services each offer using three direct criteria: amenities, training services, and ambiance. Some generalizations are made, but this is just to guide you in assessing what you require, which gym you should join, and for what you are actually paying for. What’s inside the gym is a determining factor for what the difference is between a regular commercial gym and a CrossFit gym. Let’s go ahead and analyse. Most traditional gyms are going to have treadmills, and other cardio equipment. A minor portion of the gym may be meant for free weights and probably a place may be set aside to stretch out. Often such a gym is organized in a way so that many people can be there at the same time, since they don’t need a lot of space and the apparatus doesn’t necessitate someone teaching you what to do. The goal is to fill the gym with lots of average equipment so that people can remain engaged in workouts that don’t require another’s assistance or guidance. But there are exceptions, and some consist of extra facilities such as a pool, showers, childcare, or anything else you may need which may contribute to your decision making. The more serious you are about your training, the more likely you are to look for a gym that accommodates your needs. At CrossFit facilities, they begin with the vital requirements for your conditioning and strength programs that will help you build your physique. This means they cater to a program that the bulk of their membership follows, and thus they highlight the actual workouts. Much of the apparatus there, such as climbing ropes and bumper plates, are simply not found in traditional gyms. These services include custom-made programs for your capabilities as well as daily workouts. A typical gym will normally chart out the format of a proper warm-up followed by weightlifting and ending with a conditioning or cardio workout. Below are the main differences in the training methodology between a traditional and CrossFit gym. Traditional gym membership offers you access to the facilities, and for personal training they charge you extra. If you’re someone who is self-motivated, then a traditional gym will actually be beneficial to you. But in most cases people don’t know what to do exactly when they are inside the gym, and that’s why they often drop-out after only a few weeks. Spinning and aerobics classes are often a major attraction at traditional gyms, which are technically training services. But there are limitations to these. Generally at the gym, any particular trainer will pick one simple piece of apparatus and then spend 20 to 60 minutes with cheerleading, techno music and lots of coordinated kicking and arm waving. While there are perhaps some benefits to these sessions, it really does depend on the individual trainer or instructor. Each CrossFit gym is a self-supporting business, so the gym owner can have their own take on the program of CrossFit—but as a result of this, experience and quantity of training services will differ from gym to gym. While CrossFit has been at times condemned for value control, there is almost no other worldwide fitness movement where all the coaches are considered completely effective, safe, and efficient. It is quite probable that you’ll come across the normal distribution of quality. So you just have to ask the right questions to find which one is most suitable for you. 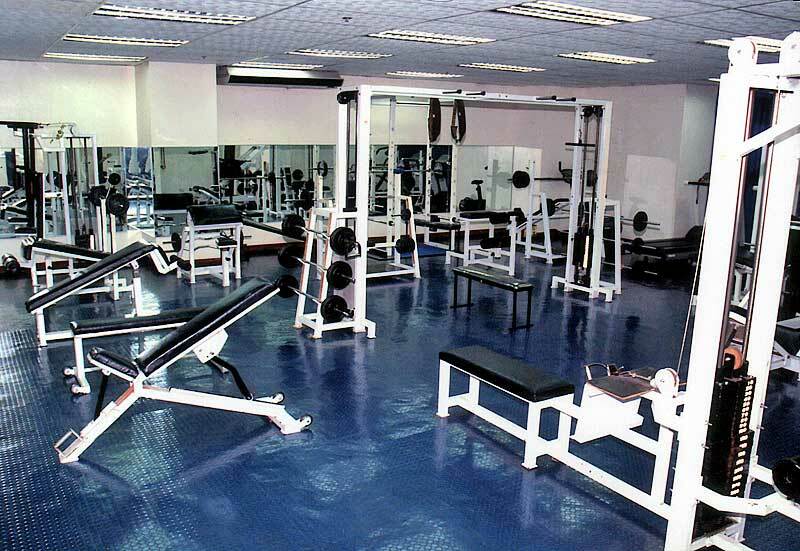 The ambiance of the gym to a great extent plays a decisive role in your attendance as well as your performance. A gym you’re thrilled to go to filled with people you enjoy being around definitely creates a far more effective and engaging training experience than a gym you go to out of compulsion. Thus, though more intangible, ambiance plays a great role that will help you enhance your training and make working out a fun and exciting experience. Unlike traditional gyms, CrossFit gyms are an engaging fitness experience that emphasizes the connection between members and trainers—meaning that participants intermingle directly throughout class, which often leads to supportive and meaningful relationships between people. The social aspect gets people really excited to work out and keep healthy and keep posting their updates on social media about what they did on that particular day at the gym. This makes working out fun and far more participative. Thus, next time you are thinking of joining a new gym, take a moment and consider the above factors. This will help you determine what exactly you want and will help you choose accordingly. Now it’s time to answer that question of whether CrossFit gyms are expensive. Well, to speak the truth, they may be. That depends on your budget and disposable income. CrossFit facilities, for sure, aren’t “low-priced,” but for a majority of people across the world, the price is worth it. This is especially true when considering the personal training you get along with it. So before you hit the gym, try assessing your current situation and what you are looking for and you will certainly make the right choice.